Can you imagine the FIFA World Cup without a passionate World Cup theme song? Oh, if so, that's definitely awful since World Cup is insipid without World Cup song just like food without seasoning. So when counting down the day of 2018 FIFA World Cup, do you also expect heart-stirring World Cup music lingering the mundial celebration in Russia to be big, second solely to the football itself? 2018 World Cup anthem Colors by Jason Derulo was released, and the main song for Russia World Cup Live It Up by Smith, Jam and Istrefi was available on May 25. 2014 World Cup theme song We Are One Ole Ola once won a large popularity, featuring guest vocals from American entertainer Jennifer Lopez and Brazilian singer Claudia Leitte. So how about having a review on its top 15 best and worst FIFA World Cup theme songs of all time, including 2018 World Cup official song Colors, in case you miss the most fair-sounding World Cup songs. 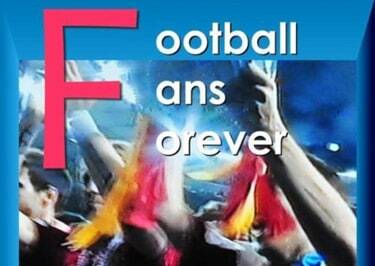 Many a netizen leaves messages on Q&A sites about how to free download FIFA World Cup official songs, anthems, promo songs for enjoymenton the go. The step-by-step tutorial below will illustrate you how to get FIFA World Cup songs free downloaded from YouTube with the help of the best known MacX YouTube Downloader, which also enables you to download FIFA world cup official songs 2018, 2014 of all time free from Vimeo, FB, Vevo, Veoh, Soundcloud, Myvideo, Instagram, and another 300+ video audio sites as you like. below is the detailed guides on how to free download the WC songs easily. Step 1: Free download FIFA World Cup 2018 video song downloader for Mac or for Windows. Launch this free song downloader. Copy the URL of song page to be downloaded freely and paste the URL. Then click "analyze" to load the YouTube video details. Or click "paste & analyze" button to automatically detect the world cup video song opened in browse. Step 2: Choose video format, resolution and file size you want. And this free music downloader can also automatically add the output MP4 videos to iTunes Library for transferring to iPad, iPhone, iPod or any other further use. Step 3: Click "Download Now" to start the download on PC or Mac. Then you can sycn the downloaded songs to Android, iPhone, iPod etc. It's the same to download 2018 World Cup highlights, matches. Note: In case you record World Cup video by yourself, its advanced version MacX Video Converter Pro for Mac can also assist you to convert camcorded HD videos (AVCHD, MTS, MKV) of World Cup to your Apple, Android, Sony and Microsoft devices with merely four simple clicks involved and up to 98% high quality reserved. Also learn how to download and make World Cup ringtones for iPhone Android phones. Tips: with the 2018 World Cup getting underway in full gear, MacXDVD offers a grand FIFA world cup giveaway centering on the theme song converter. That means you can get MacX Video Converter Pro totally free of charge as long as you vote for the 2018 world cup winner. Meanwhile, you will also have the chance to get free full licensed MacX iPhone iPad DVD Ripper as well. FIFA World Cup also includes Women's World Cup. 2019 means the big year for female football players, for they will also offer a big visual and audio feast to the global fans. Have time to go to France to watch FIFA Women's World Cup matches in 2019 June to July? If not, download Fox Sports FIFA Female 2019 World Cup video and cheer for the heroines. The video downloader is still the one you can rely on to get Women's world cup video download, as well as 2019 Women's world cup music Beautiful Life download in 30 seconds from 300 video audio sharing sites. I bet this FIFA World Cup anthem is not strange to you, for it became a smashing hit around the globe since it came out on Africa WC 2010 and is listed in the best World Cup official song of all time. And it also ranks top ten most-viewed videos on YouTube. The warmly-received song for World Cup has the bright rhythm and impressive lyrics, but also in its music video powerful African drum sound and ebullient Hula-hula also make you want to shake your body and dance with them. When Shakira was singing Waka Waka, you could strongly feel the unique African atmosphere. Dara (La La La) by Shakira is the second theme song for 2014 Brazil World Cup and one of the hottest World Cup official songs of all time. It has received over 960 million views at the time of writing, while Waka Waka (This Time for Africa) gets over 1.8 billion views. The music video for the anthem features highlights from Lionel Messi, Sergio Agüero, Messi, Neymar etc. famous World Cup players, and Shakira's boyfriend Gerard Piqué and their son. The song was performed by Shakira at the World Cup Brazil Closing Ceremony. You can download World Cup theme song La La La music video and Closing Ceremony live performance MP4 HD from YouTube. "When I get older, I will be stronger, they'll call me freedom, just like a wavin flag, and then it goes back…" The World Cup official song name is not Give Me Freedom, Give Me Fire, but Wavin' Flag. It's not hot as Waka Waka from Shakira, but many fans are still searching ways to download Give Me Freedom, an epic 2010 World Cup official song. 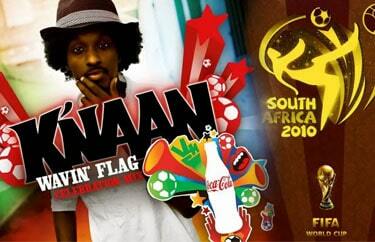 The song is performaed by Somali-Canadian artist K'naan and was originally written to inspire Somalia people for freedom. 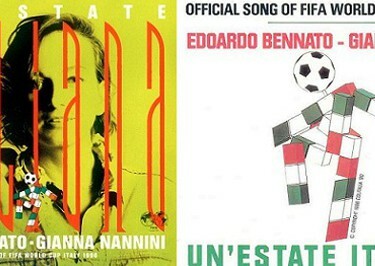 The 1990 Italy FIFA World Cup anthem-Un Estate Italiana may be the most successful song for World Cup so far that an array of football fans still take delight in talking about it and sing it in KTV. This song has several versions and its English version is called "To Be Number One", which has a studio version with relieving and traditional style and a live version with strong yet appealing rock rhythm. Both versions are worth appreciating. 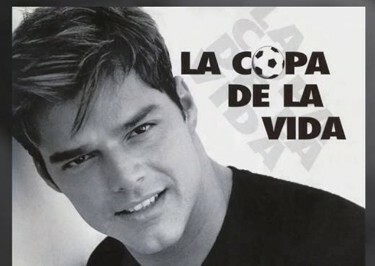 La Copa de la Vida (Cup of Life) is a classic 1998 France World Cup theme song, which is crammed with energetic yet dynamic Latin music and once ranked top of music charts in 30 countries. Moreover, in this FIFA World Cup song, you can also appreciate the inspiring drum rhythm and trumpet sound, so no wonder many football TV shows prefer it to foil atmosphere. And this must-listen World Cup football song mixes English and Spain, meaning France being of inclusivity to welcome more football players from the whole world. Why? 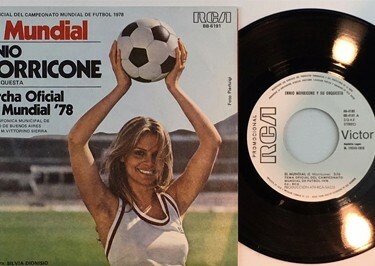 El Mundial-the 1978 Argentina FIFA World Cup theme song can capture the fourth place in the list of best World Cup songs? You see, the world-renowned composer Ennio Morricone directs the string orchestra of Buenos Aires city, using the military band instruments and less-than-celebratory undertone to evoke the magnificent spectacle of this grand World Cup. His unique and sensational soundtrack is downright refreshing and receives a wide popularity among football lovers. As the much-anticipated 2014 Brazil World Cup theme song, We Are One Ole Ola, performed by Pitbull and featured by Jennifer Lopez & Claudia Leitte, has caused a huge controversy among Brazilians and football fans since it delivers its debut. Some insist on its lack of Brazilian unique feature and Brazil's own rich musical heritage. But more football fans hold the positive attitude to it that this World Cup 2014 theme song We Are One Ole Ola blends the feel of the tournament's hosting country with an accessible, exciting pop sound that has instant repeat appeal and is surprisingly breezy with Spin noting it to contain the rah-rah international unity for a Cup song. The special charm of 2014 World Cup anthem lies in its strong power to unify us together and when we are one, we are the best. 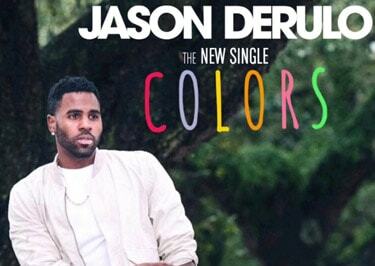 2018 FIFA World Cup anthem for Coco-cola is Colors, which is written and performed by Jason Derulo. Featuring catchy slurs and inspiring lyrics, the Official World Cup 2018 anthem will be the next football fans' favorite. Now, a sneak peek of the music video for 2018 World Cup song Jason Derulo's Colors is available on YouTube's The Coca-Cola Co. channel. The good news is that fans can download the YouTube HD video for the new World Cup football songs and other 2018 World Cup songs like All Of The Pain (Shakira), Positivo and United By Love. 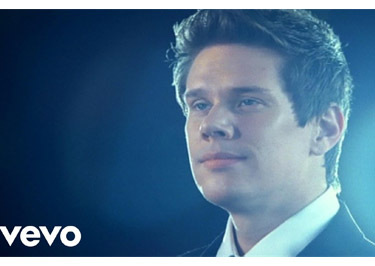 The Time of Our Lives was 2006 Germany World Cup official song and BeIN Sports theme song for Brazil World Cup. It is not as popular as Waka-Waka, The Cup of Life, or Give Me Freedom, but the slow melody makes it a special World Cup theme song and different from other energetic and happy pop music. So many fans remember the anthem and start to realize the best World Cup official song doesn't have to be "we-are-so-excited" or such kind of. Also check full list of World Cup official songs and anthems. "Gloryland (Instrumental)" is a non-official anthem for 1994 FIFA World Cup held in the United States. But it is regarded as the worst World Cup theme song of all time because it's too America. Though the World Cup is a huge success for America, many football fans dislike the soundtrack. Free Download Theme Songs from World Cup 2018, 2014 etc. MacX Video Converter Pro lets you download 2018 FIFA Russia World Cup theme songs, highlights, match video, etc. from YouTube, Facebook, Dailymotion, Myspace, Vimeo, etc. 300+ sports video sites in MP4, MKV, FLV, 4K 2160p, HD. It also converts MKV, FLV etc. to MP4, AVI, MOV and other iPhone or Android formats.